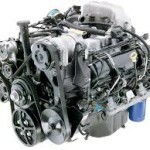 Low Mileage Engines Under 30,000 most 12.000 and under. These engines will go 300,000 miles. The motor has been the same for the last 20 years. 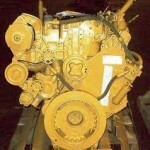 Save Money by Going Deisel, These engines get much better gas mileage. 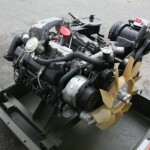 These engines are configured for the military HMMWVs. The 6.5L detuned engines are a direct replacement for the 6.2L engines. Sensors, wiring harness may differ through varies makes. 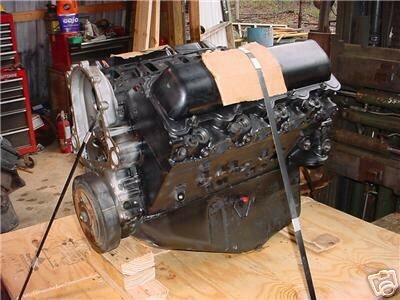 General Motors 6.2 Liter Diesel Non Turbo late Model with rear EIG seal. 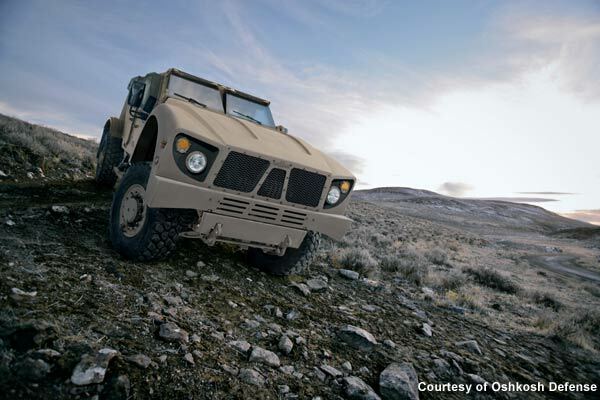 Navistar Engines Up To 399 Horse Power. 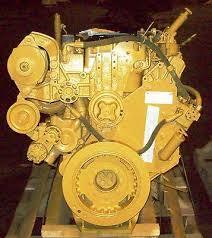 Caterpillar C7 Motor and Navistar up to 399 HP!!! 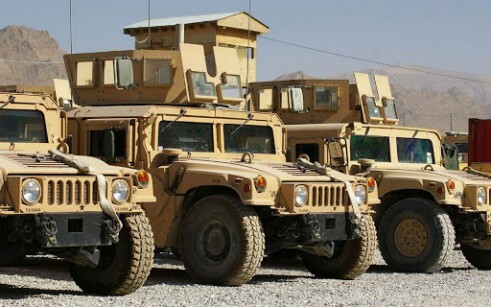 The High Mobility Multipurpose Wheeled Vehicle (HMMWV), commonly known as the Humvee, is a four-wheel drive military automobile produced by AM General. It has largely supplanted the roles originally performed by the original jeep, and newer Military light utility vehicles such as the Vietnam-era M151 1⁄4-short-ton (230 kg) MUTT, the M561 “Gama Goat”, their M718A1 and M792 ambulance versions, the CUCV, and other light trucks. Primarily used by the United States military, it is also used by numerous other countries and organizations and even in civilian adaptations. 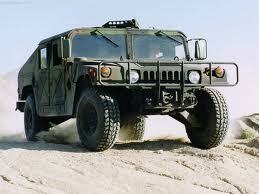 The Humvees widespread use in the Persian Gulf War helped inspire the civilian Hummer automotive marque. 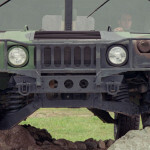 The Humvee replacement process, now being undertaken by the U.S. Military is an effort to replace the current AM General Humvee. The Humvee has evolved several times since its introduction, and is now used in tactical roles for which it was not originally intended. The U.S. Military is currently pursuing several initiatives to replace it, both in the short and long term. 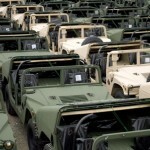 The short-term replacement efforts utilize COTS vehicles, while the long-term efforts currently focus on building requirements for the Humvee replacement and technology research and evaluation in the form of various prototype vehicles. 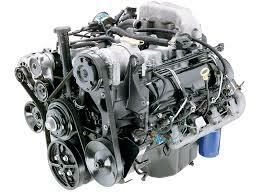 General Motors introduced a line of Diesel V8 engine engines for their C/K pickup trucks in 1982. This engine family, designed by GM division Detroit Diesel, was produced by GM through 2000, when it was replaced by the new Duramax line. 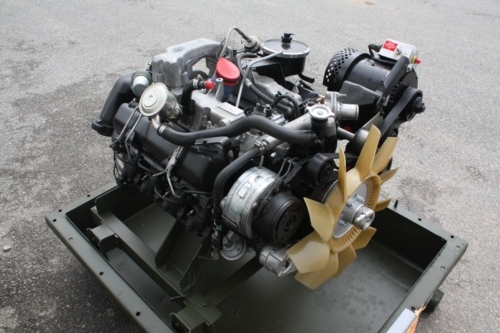 AM General’s subsidiary General Engine Products (GEP) still produces a military variant of this engine for the HMMWV. The General Motors light-truck 6.2 and 6.5 L Diesel engines were optional in all 1982 through 2000 full-size GM pickups, SUVs, and vans: Chevrolet C/K pickup trucks, Chevrolet Suburban, Chevrolet K5 Blazer and its replacement Chevrolet Tahoe, full-size Chevrolet Van and its successor Chevrolet Express, as well as motor homes. 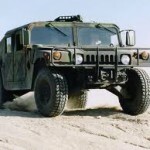 The engine was standard on AM General HMMWV, Hummer H1 and the 1980s GM Commercial Utility Cargo Vehicle vehicles. 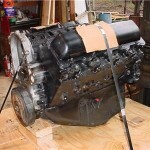 The original 6.2 L (379 cu in) Diesel V8 was introduced in 1982 for the Chevrolet/GMC C/K trucks and was produced until 1993. The 6.2L diesel emerged as a high-MPG alternative to the V8 gasoline engine lineup, and achieved better mileage than the General Motors 4.3L V6 gasoline engines of the 80s, at a time when the market was focused on mileage more than power. The original 6.2 L (379 cu in) Diesel V8 was introduced in 1982 for the Chevrolet C/K and was produced until 1993. The 6.2L diesel emerged as a high-MPG alternative to the V8 gasoline engine lineup, and achieved better mileage than the General Motors 4.3L V6 gasoline engines of the 80s, at a time when the market was focused on mileage more than power. However, it was designed to easily install in place of the 7.4L gasoline V8, using the same mounting and attachments for transmissions, and similar radiator size requirements. Overall weight for the complete engine is slightly heavier than the 7.4L gasoline engine. Aspiration: Turbocharged (Borg-Warner GM-X series) Also available naturally aspirated. The fuel system is a very simple design. A mechanical or electric fuel lift pump feeds a Stanadyne Rotary Distributor Injection pump at low pressure. The distributor injection pump controls both timing, via an internal centrifugal governor, and high pressure fuel delivery to the fuel injectors via internal precision hydraulic pumps. Near the top of the compression stroke fuel is atomized at high pressure into a hemispherical Inconel prechamber in the cylinder heads using Bosch pintle and seat mechanical fuel injectors. This is called Indirect injection. GM used fully mechanical DB2 series injection pumps on all military HMMWVs and 1982-1993 6.2′s and 6.5′s. From 1994 till end of production GM used the electronically controlled Stanadyne DS4 series of injection pumps in their light trucks. 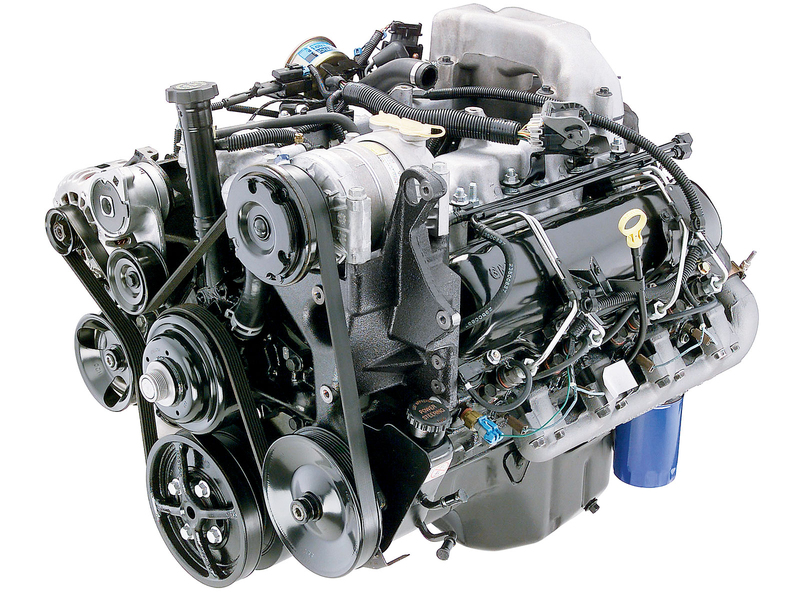 A mechanical DB4 series injection pump can be found on some 6.5L marine engines. The Oshkosh MRAP (mine-resistant ambush-protected) all-terrain vehicle (M-ATV) is an armoured vehicle with improved mobility. In June 2009, Oshkosh Corporation received an initial order to deliver 2,900 M-ATVs to the US Armed Forces for deployment in Afghanistan. The M-ATV is based on the Oshkosh medium tactical vehicle replacement (MTVR) platform and is fitted with patented TAK-4 independent suspension system for utmost mobility and survivability. 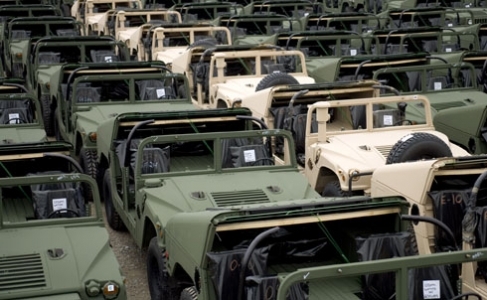 As of September 2013, the U.S. Marine Corps had 3,700-3,800 MRAP vehicles. The service plans to reduce the numbers in their inventory to 1,200-1,300 due to sequestration budget cuts. 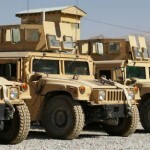 8,700 Oshkosh M-ATV vehicles were purchased by the U.S. Army, U.S. Marine Corps, and U.S. Special Operations Command beginning in 2009 for use in Afghanistan. As part of the overall divesture of the wartime MRAP fleet, the U.S. government will keep about 5,600 M-ATVs, with some 250 vehicles for SOCOM. 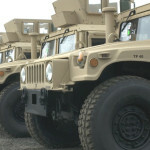 About 9,000 Navistar MaxxPro vehicles were bought by the Army from 2007 to 2011, and they plan to keep only about 3,000 of them. 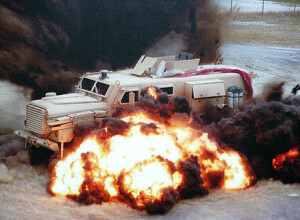 Following the drawdown from Afghanistan by the end of 2014, the U.S. Army will reduce its MRAP fleet to 8,000 vehicles.